Garage Hachi: random motivational snap! Unfortunately I have nothing to report since my last blog, I'm still trying to get together some funds to start buying parts for the rebuild.The champion little 4ag is still going, but knowing it needs all this work is always on my mind! The body is starting to show its age too, along with my "winter damage", so a respray is in the planning now too. 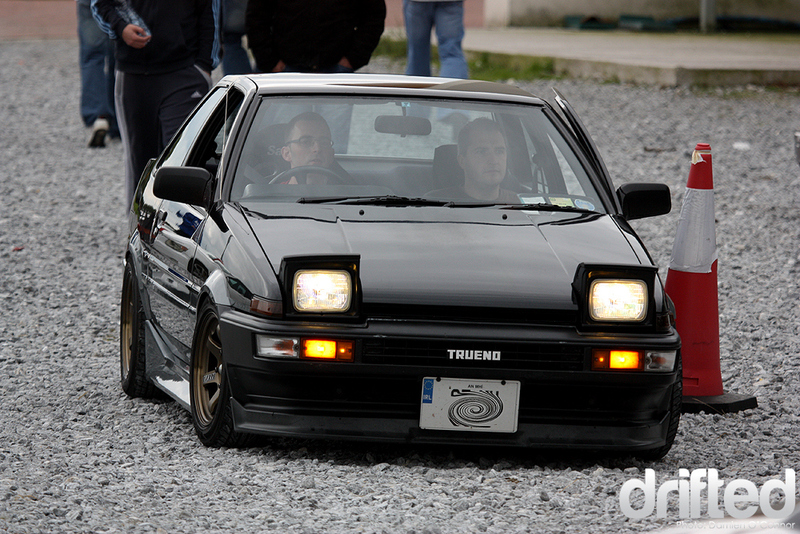 Meanwhile to keep my motivation going, Kev spotted this very nice shot of my Trueno over on drifted.com. It was a nice reward after spending the evening valeting the car. Delighted!